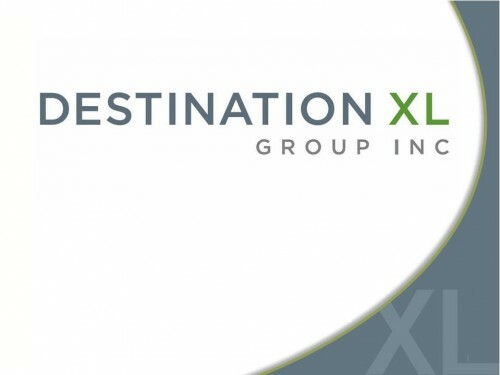 Willem Mesdag‘s Red Mountain Capital has boosted its activist position in Destination XL Group Inc (NASDAQ:DXLG), a newly amended filing with the U.S. Securities and Exchange Commission showed. Red Mountain reported holding almost 5.30 million shares of Destination XL, versus 4.84 million held previously. The new stake amasses 11.7% of the company’s stock, up from 9.5% reported earlier. Moreover, earlier in February, in another filing, Red Mountain revealed that its manager, Willem Mesdag, has been added to the board of directors of the Destination XL Group Inc (NASDAQ:DXLG). The fund has been bullish on the stock recently, in its 13F filing revealing ownership of 4.84 million shares, up by 15% over the quarter. The major multi-channel specialty retailer of big & tall men’s apparel and accessories, Destination XL Group Inc (NASDAQ:DXLG), reported sales of $388 million for its fiscal 2013, versus $399.6 million posted a year ago. At the same time, the company posted a loss of $1.23 per diluted shares, significantly down from an income of $0.13 in fiscal 2012. The company, however, expects an improvement during this year, forecasting sales in the range of $405.0 to $410.0 million, according to a statement. The net loss is also expected to narrow and be between $0.12 to $0.16 per diluted share. On the back of weak financial results, the stock of Destination XL Group Inc (NASDAQ:DXLG) has been declining and lost over 14% since the beginning of the year. However, the average recommendation for the stock is “Overweight” and the mean target price stands at $8.00 per share. Investors, on the other hand, seem to be keen on Destination XL Group Inc (NASDAQ:DXLG), with many of the major shareholders raising their positions in the latest round of 13F filings. Glenhill Advisors, led by Glenn J. Krevlin, raised its stake by 7% over the quarter to 4.47 million shares. Phil Frohlich‘s Prescott Group Capital Management initiated a stake in the company, which amasses 711,400 shares, and Cannell Capital, managed by J. Carlo Cannell, surged its position by around 670% to 548,900 shares. The largest part of Red Mountain’s $334.2 million equity portfolio is invested in the Services sector. The two largest holdings in Air Transport Services Group Inc. (NASDAQ:ATSG) and Encore Capital Group, Inc. (NASDAQ:ECPG) represent together over 40% of the equity portfolio, the fund holding 11.15 million shares worth $90.22 million in Air Transport Services and 1.33 million shares, worth $66.95 million in Encore Capital.